Milk Kefir Culture Grains can make homemade Kefir yogurt for the whole family, Your Milk Kefir Grains or Kefir Culture is a living culture and will last you a lifetime. If you feed it regularly and take care of your culture which is easy and does not take up your time at all. All cultures come with recipe and instructions it also have a full free Pdf. Book on the website that you may download at any time. The full book has amazing recipes to make the most amazing drinks and baking and to never have a dull moment with your new kefir family member in the house. Enjoy the natural strongest probiotic on the planet. Kefir’s tart and refreshing flavor is similar to a drinking-style yogurt, but it contains beneficial yeast as well as friendly ‘probiotic’ bacteria found in yogurt. The naturally occurring bacteria and yeast in kefir combine symbiotically to give superior health benefits when consumed regularly. It is loaded with valuable vitamins and minerals and contains easily digestible complete proteins. How is Milk Kefir Made? Kefir can be made from any type of milk, cow, goat or sheep, coconut, rice or soy. Although it is slightly mucous forming, the mucous has a “clean” quality to it that creates ideal conditions in the digestive tract for the colonization of friendly bacteria. 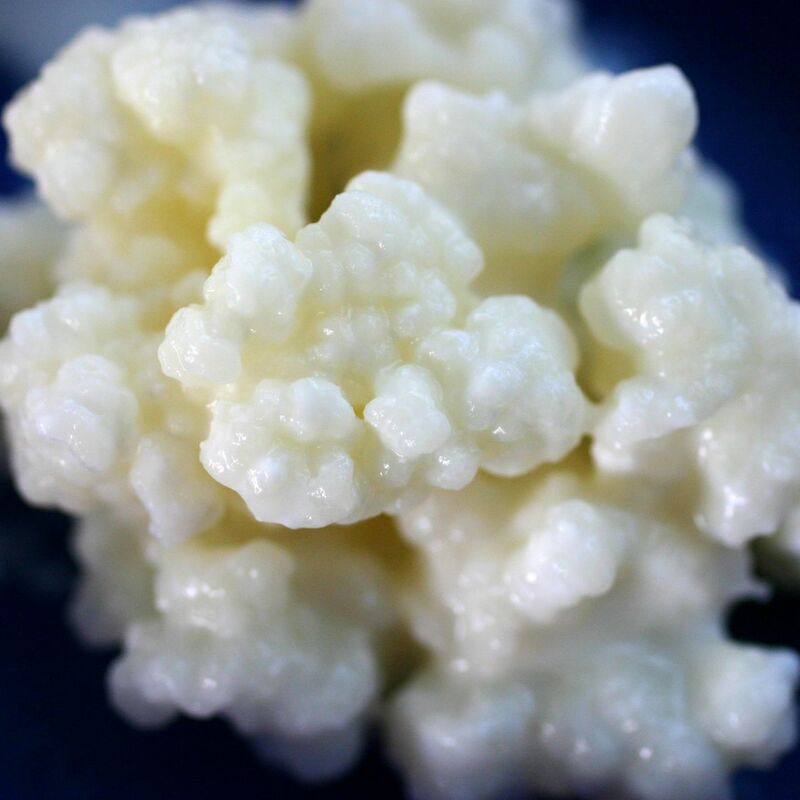 Kefir is made from gelatinous white or yellow particles called “grains.” This makes kefir unique, as no other milk culture forms grains. These grains contain the bacteria/yeast mixture clumped together with casein (milk proteins) and complex sugars. They look like pieces of coral or small clumps of cauliflower and range from the size of a grain of wheat to that of a hazelnut. Some of the grains have been known to grow in large flat sheets that can be big enough to cover your hand!. The grains ferment the milk, incorporating their friendly organisms to create the cultured product. The grains are then removed with a strainer before consumption of the kefir and added to a new batch of milk. There are two types of kefir grains – milk and water kefir grains. Prior to making water kefir, I was making milk kefir using raw cow’s milk. Though similar in function, milk grains are quite different than water grains. They are white, cottage cheese-looking with slimy feel to them. Water grains, however, are translucent, cauliflower-like and easily break apart under pressure. Also, milk grains feed on the lactose in milk whereas water grains feed on sugar. 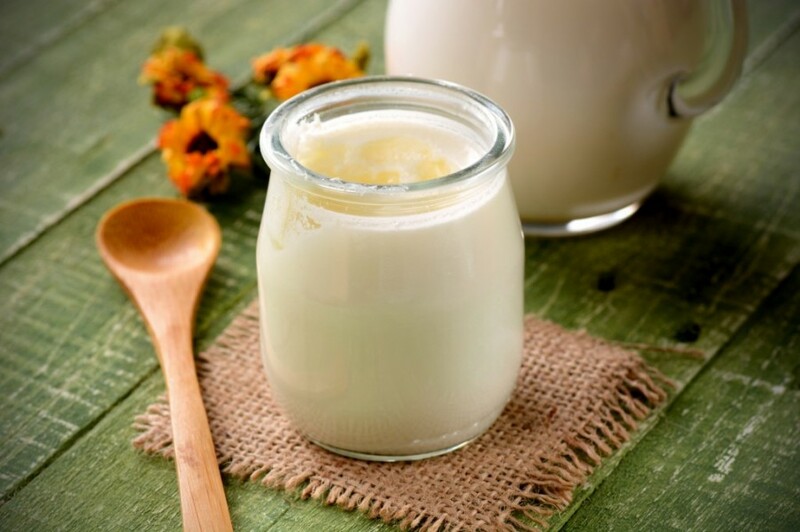 Health Benefits of Milk Kefir & is Kefir Good for You ? Kefir also contains 20 percent of the daily recommended amount of calcium in each 175-gram serving. Calcium strengthens bones and teeth. Kefir has 10.5 grams of protein in a single serving of less than 100 calories. Kefir is also a source of several B vitamins, which strengthen the blood and nervous system and help the body withstand stress. 1L or 2L of milk, preferably whole fat. 1 x teaspoon active kefir grains. Note: Avoid prolonged contact between the kefir and metal both during and after brewing. 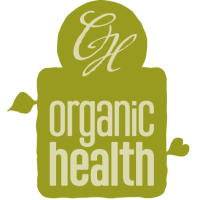 This can affect the flavor of your kefir and weaken the grains over time. 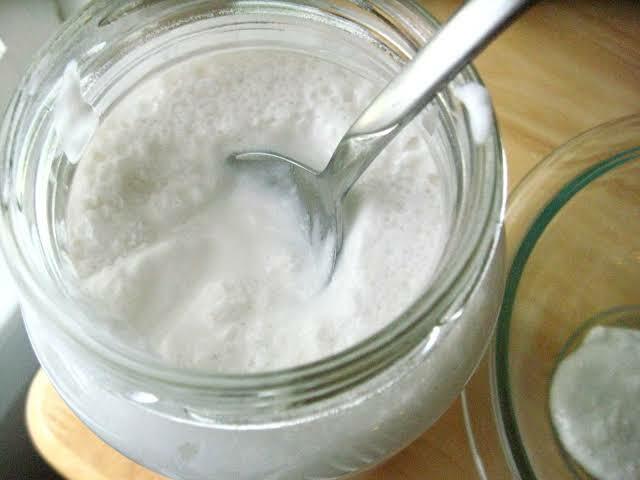 Combine the milk and the grains in a jar: Pour the milk into a clean glass jar (not metal) and stir in the kefir grains. The milk can be cold or room temperature, either is fine. Cover the jar: Cover the jar with cheesecloth, a paper towel, or a clean napkin and secure it with a rubber band. Do not screw a lid onto the jar as the build up of carbon dioxide from the fermenting grains can cause pressure to build in the jar, and in extreme cases, cause the jar to burst. Ferment for 12 to 48 hours: Store the jar at room temperature, away from direct sunlight. Check the jar every few hours. When the milk has thickened and tastes tangy, it's ready. This will usually take about 24 hours at average room temperatures; the milk will ferment faster at warmer temperatures and slower at cool temperatures. If your milk hasn't fermented after 48 hours, strain out the grains and try again in a fresh batch (this sometimes happens when using new kefir grains, when refreshing dried kefir grains, or when using grains that have been refrigerated). Strain out the kefir grains: Place a small strainer over the container you'll use to store the kefir. Strain the kefir into the container, catching the grains in the strainer. Transfer the grains to fresh milk: Stir the grains into a fresh batch of milk and allow to ferment again. This way, you can make a fresh batch of kefir roughly every 24 hours. To take a break from making kefir, place the grains in fresh milk, cover tightly, and refrigerate. Drink or refrigerate the milk kefir: The prepared milk kefir can be used or drunk immediately, or covered tightly and stored in the refrigerator for up to a week. 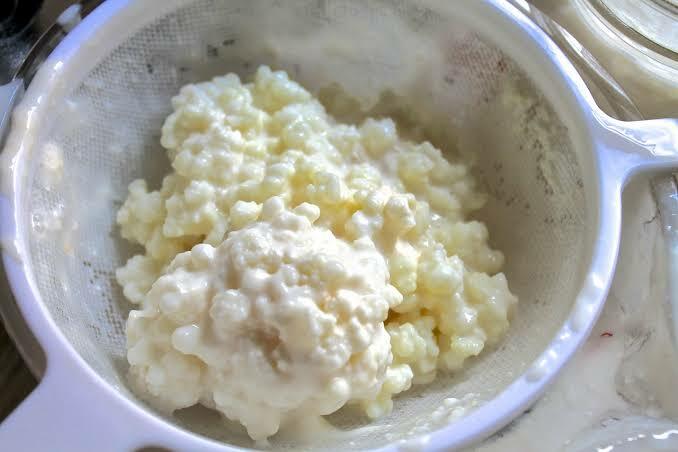 Activating Dried Kefir Grains: If you bought your kefir grains in a dried form, rehydrate them by soaking them in fresh milk at room temperature. Change the milk every 24 hours until the grains begin to culture the milk and make kefir. It may take 3 to 7 days for the kefir grains to become fully active. What Milk to Use: Kefir works best with whole-fat cow, goat, sheep, or other animal milk. 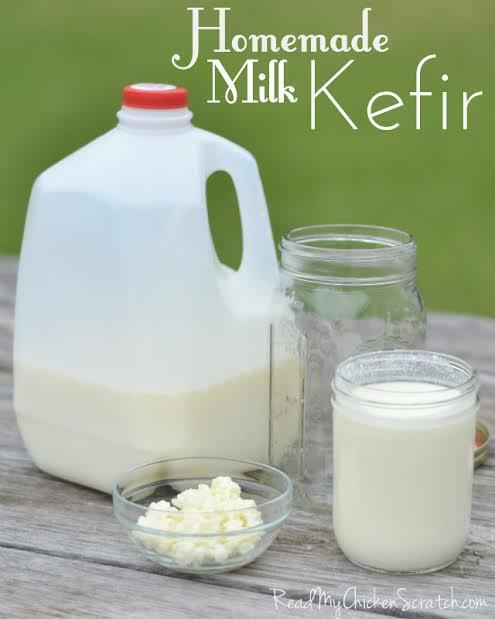 You can use low-fat milks, but refresh the grains in whole fat milk if they stop fermenting the kefir properly. Raw and pasteurized milks can be used, but avoid ultra-high temperature (UHT) pasteurized milks. Making More or Less Kefir: You'll need about a teaspoon of grains to ferment 1 to 2 cups of milk. You can also ferment less milk than this, but fermentation will go more quickly. Your grains will start to multiply over time, allowing you to ferment more milk if you like. Maintain a ratio of about a teaspoon of grains to 1 cup of milk. Taking a Break from Making Kefir: To take a break from making kefir, transfer the grains into a fresh container of milk, cover tightly, and refrigerate for up to a month. What to Do if Your Kefir Separates: Sometimes kefir will separate into a solid layer and milky layer if left too long. This is fine! Shake the jar or whisk the kefir to recombine and carry on. If this happens regularly, start checking your kefir sooner. What can Probiotic Yummy's can i Make with Milk Kefir ?